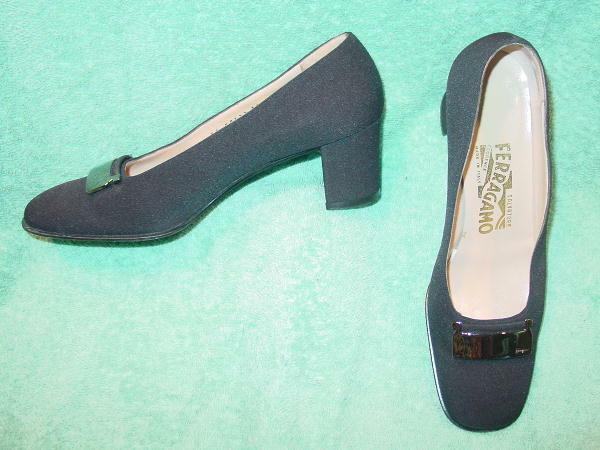 These black fabric wide toe pumps are by Salvatore Ferragamo and were made in Italy. The heels are covered in fabric all the way around. 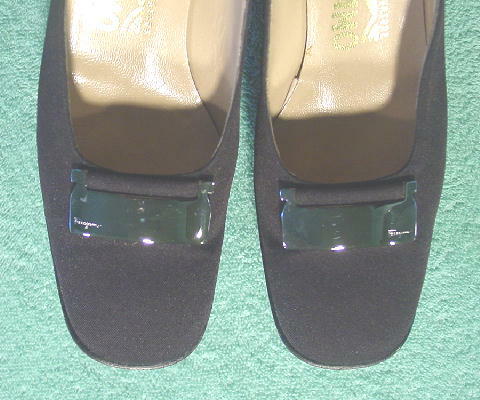 The vamps have metal bars with Ferragamo etched in the corner. The right shoe bar has a scratch in the lower right corner. 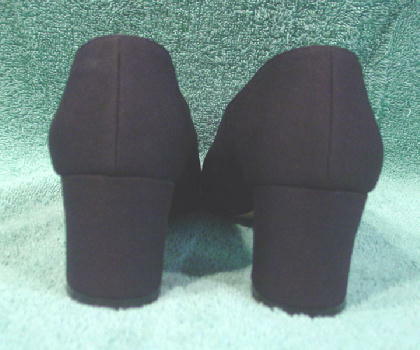 The inner side of each of the shoes has a slight crease in the fabric to the outer upper side of the bar. The linings and insoles are in a light tan leather. They weren't worn very much.